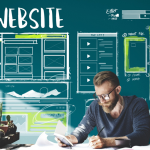 A new domain name costs $9 to $12 per year, depending on the extension, such as .com or .org, and depending on the registrar, such as GoDaddy or Namesilo. 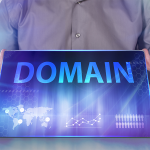 Domains that have been registered already can cost hundreds or even thousands of dollars from a private seller, especially for popular and sought-after domain names. In this guide, we’ll uncover the cheapest places to buy a new domain, and show you how to buy from a private seller. If you want a domain name in order to create a website and professional email account, we recommend using Bluehost. They tie everything into a single package, starting at $2.95/month. For all other purposes, Namesilo and GoDaddy offer the best-priced domains. Namesilo has the best pricing for .com domain name registration, whereas GoDaddy is cheapest for .org, and .info, as well as .us, .biz, and many more. GoDaddy also offers promotions where you can save by buying multiple years up front, or by bundling multiple domains. Pricing is about the same, starting at just under $3/month for shared website hosting. The main difference is what’s included in the base price. Bluehost and GoDaddy provide domains and professional email accounts, whereas HostGator does not. Bluehost also includes SSL encryption, which makes your website more secure for visitors, and gives it HTTPS in the address bar instead of HTTP. While this may seem like a subtle difference, HTTPS websites are far more trusted, and preferred by Google in its search rankings. Purchasing this separately costs $60 to 100 per year, so it’s a huge advantage that Bluehost includes this in their base price. To get started, simply follow the link to check out Bluehost’s hosting packages, then check out our guides to set up a WordPress website with Bluehost and business email accounts. Privacy protection is an optional add-on that shields your private information from the internet. All domain owners are required to share their name, address, and contact information to the Internet Corporation for Assigned Names and Numbers (ICANN), where it is publicly listed. Domain privacy protection replaces your private information with your domain provider’s information. This way, salespeople and advertisers who target new business owners are not able to find your private information. It clamps down on cold calls and spam letters you might otherwise receive. Again, Namesilo comes out ahead, providing free domain privacy protection to all users. When the homepage doesn’t tell you who owns the domain, or who to contact, you can often still find this information on the public ICANN database. Simply head to whois.icann.org and enter the domain name into the search bar. On the resulting page, you will find the owner’s name (or business name), mailing address, phone number and email. 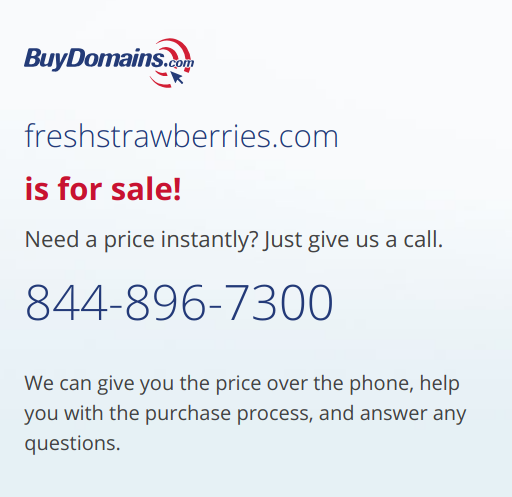 From here, you can use Google to learn a little more about the seller, like how large is their business, have they sold other domains recently, and if so, for how much? A little further down on the whois results page is another key piece of information. Find the box that says “Important Dates.” Now note the “Created Date,” which is when the domain was registered by the current owner. Avoid giving out too much information about yourself, like where you work or other websites you own. If the seller figures out your motivation, or considers you a high-profile buyer, it could raise the price. Figuring out how much to offer is simply a matter of balancing how much you can afford versus how badly you want the domain. The exception is a domain that has been dormant for a long time—say, over five years. In these cases, you can roll the dice with a low-ball offer, although you will want some backups in mind in case you don’t get a response. New domain name registration is a lot easier and cheaper than buying from private seller. It’s often worth experimenting to find some good unregistered domains before making a costly purchase. With a little bit of creativity, you might be surprised to find what’s available.